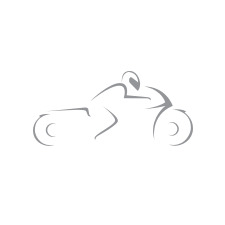 Shop Dainese Fighter Leather Jacket Online In Canada @ GP Bikes! For the rider seeking maximum protection without the racetrack fanfare, the Dainese Fighter Jacket is packed to the gills without the frills. The seamless thermoformed soft inserts and dark aluminum shoulders radiate silent aggression, and the Dainese demons on the chest and back are decidedly muted. Elastication in the shoulder blades, inner arms, cuffs and collar ensure the D-Skin 2.0 leather chassis interfaces ergonomically with the rider. With a removable thermal liner as well as an antimicrobial Silver Ion treated Nanofeel liner, localized perforation and air exhaust vents on the back, the Dainese Fighter Perforated Leather Jacket adapts smoothly to varying temperatures. Replete with composite protectors in the elbows and shoulders and prepared for CE level 1 and 2 back and chest protection, the Dainese Fighter Leather jacket has everything but the sponsor patches. This jacket is available. We're having problems with our web site on showing the correct available product. We have manually made the change so the sizes you are interested in 44 & 46 are now showing available on the web site. If you choose to purchase this jacket we have to order it in from Dainese. Please note the transit time is approximately two weeks.